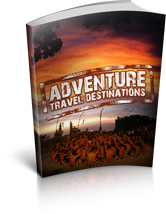 All Adventure Travel Destinations. Which destinations we recommend for which Themes. Find out the our picks for adventure, soft adventure, trekking, exploration, discovery, active holidays and sports. We also cove beach living holidays, romance, jazz, party, culture, heritage and much more. For the Beach be sure to check out http://barbados.org and for best rates direct from Hotels and Tourism operators http://BarbadosVacationSpecials.com. For tropical vacations out of the way and a world apart see http://bookingsdominica.com, or the spectacular Pitons of St. Lucia http://BookingsStlucia.com.